I would like to argue to maintain at least one non responsive template for websites in WebsiteBaker. Sometimes the overview that provides a non-responsive home page is an advantage, even on a small screen. Many smartphone users have no problem to enlarge of the image with, for example, the menu as they are already used to do so viewing photos. Responsive design does not always have to be preferred. Non responsive templates are easier te be styled. I would like to argue to maintain, for example, AllCSS as a non-responsive template; to update it for new versions of WB, and to facilitate a download possibility. Also it would be nice if the possibility for extra block(s) were added. What about a discussion on this topic? If you don't understand why non-responsive is a "no-no" for SO many reasons, you can't be serious about building websites. Further, I'd like to know the basis for your claim that "many smartphone users" don't have a problem with ill-designed websites. I don't believe that for one second. Your next claim (non-responsive is easier to be styled) is utter nonsense. Maybe your wish comes from a lack of knowledge on responsive webdesign, media queries and CSS that comes with it. I suggest you spend time working on that, instead of launching bad designed (non-responsive), bad scoring (Google!) websites into the world. I have already been asked to integrate a button for desktop view. So mobile users can switch. If the customer wants this, it is not a question of understanding responsiveness. @CodeALot: There is no need to be aggressive in your reaction. You don't give any of your SO many reasons. Of course I know some but maybe I missed a few. 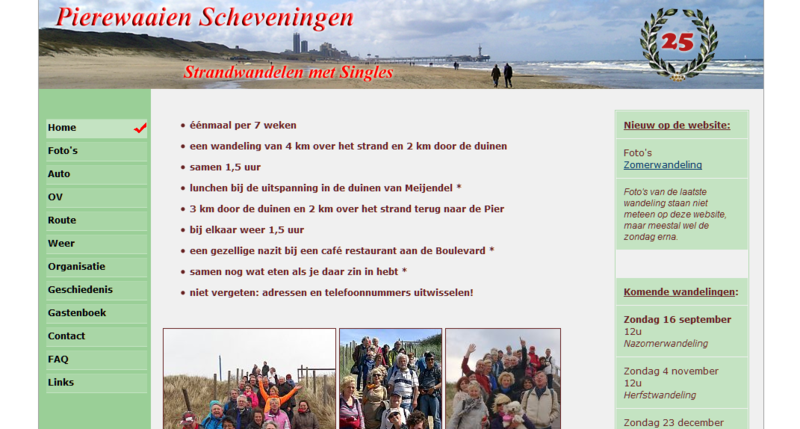 The basis for my claim is a test under the users of my website http://www.pierewaaienscheveningen.nl that needed an upgrade. 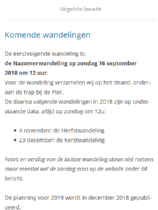 I made 2 alternative websites to test: https://pierewaaienscheveningen.nl/wordpress/ and http://pierewaaienscheveningen.blogspot.com. Sorry for shopping around! Reactions were in favor of the old, non responsive website and people indicated that is was no trouble enlarging the image on their small screen to be able to handle the small menu items. This was not what I expected as I was planning to build a responsive website to replace the old one. As is the favorite point of view in the website builders world, this was a surprise to me also. May I say this is a bit arrogant? My ambition is not to be a top designer of websites, I am just a handyman that maintains some websites for people I am related to. As I well remember WebsiteBaker was originally set up as a tool to do precisely that. My point is that non responsive is not the same as ill-designed as you stated. A point taken is that Google search classifies responsive websites higher than non responsive ones. It should not be in my view; let us see what a real discussion can bring us. I followed the link you gave, but found no 'older non responsive templates' there. I was happy to still have the code for the AllCSS template, which can be adapted with a show-menu2() and functions well under WB2.10. I just wish there was a possibility to use extra blocks; maybe I will try to find out how to integrate this in the future. Can I see your reaction as a confirmation that some users prefer to see a non responsive layout on their small screens? Thanks for backing me up in this discussion! personal words... it's a free world and a open source cms - everybody can do, what ever he want. the only points to have a responsive website, was google and your target group. it's no problem to scroll a page from left to right, from top to the bottom - you can use your fingers on a mobile. the other example (fictive): i've a page to sell some locale vegetables. possible guest are the people from the neighborhood around my village or my home town. they sitting with a mobile in a cafe, at home or there are on the way to buy products like this, so you can be sure, there use mobiles. Ask the question again and again and for every project: what is the target of the page and what is the target group? Reactions were in favor of the old, non responsive website and people indicated that is was no trouble enlarging the image on their small screen to be able to handle the small menu items. if you want a real answer to your question, use the same template style and the same content for all test pages, the same background (if needed), the same colors. Use corresponding colors. my teacher say's me: use only one theme color (here the green from the menu) and adaptions of this color for the rest (see sidebar). use a corresponding contrast color for the fonts and (if needed, for other elements like a border. Never mix a flat theme with a 3D-Style (searchbox). If my customer wants a non-responsive website then it's up to me to advise them otherwise. It's not only my job to build that website, it's also my job to inform them about usability, Google ranking, SEO, cross-browser compatibility, etc. They hire me because they don't have the knowledge, right? My reply may have come across as agressive, for which I apologize, but it's more a matter of being passionate about websites and my frustration to see so many bad websites coming online, usually made by someone who knows how to install Wordpress and buy a (usually not to good) template. Building websites, tailored to the wishes and needs of my customer, is more than that. Please read more carefully. A customer of mine (with a responsive website) asked for a button in the frontend. He wanted to be able to switch to the normal desktop view with his smartphone. Of course you have to clear it up, but only if it is necessary. On the page https://wbce.at/tpls/ try to use the menu on the right, for example: STYLE: minimalist. You get a list of templates ( click on them to see a example) and all the templates who are "outdated" are not responsive. Thanks for the extensive answer. It is good to see I am not the only Baker 'still' working with the AllCSS template that once was the default one. The link to https://help.WebsiteBaker.org/en/home/designerguide/contentblocks.php was also very helpfull. In your answer I see: (green: the original block in AllCSS, blue = new added blocks) which means that you are working with a version of AllCSS with 3 blocks already integrated. That would be quite enough for me. My version (v2.7) has not. May I ask to publish the latest version of AllCSS here or send the zip to me? I found what you mean, but did not find AllCSS there. May I suggest the latest version to be added in the list as it once was the default template and people (like me) might want to update their version of the template? Hier ist eine Version 2.71 die ich in meinem Archv gefunden habe. Habe diese Version auf eine WB Beta-Version 2.12.1 installiert und alle mitgelieferten Module laufen ohne Probleme. Here is a version 2.71 that I found in my archv. Have this version installed on a WB beta version 2.12.1 and all included modules run without problems.